I received an advanced review copy of this title from Gallic Books through NetGalley. This book was originally published in French and this English translation is done by Emily Boyce. This is also my first post for Novella November hosted by Poppy Peacock Pens. Please visit her site for more great reviews of novellas throughout the month. Shimura Kobo leads a very quiet and regimented life in the suburbs of Nagasaki. He is a meteorologist who avoids the company of his coworkers and every night returns to his neat, orderly and lonely apartment. When food starts to disappear from his refrigerator and items appear out of place in his apartment he takes notice and is really bothered by this disruption in his organized life. At first he thinks that he is just going crazy but in order to verify his missing items he starts cataloguing the contents of his refrigerator and measuring the liquid in his juice containers. He finally decides to buy a webcam which is linked to his laptop so he can spy on his visitor while he is at work. Shimura eagerly watches his laptop at work waiting for the intruder to appear on his screen. He has to wait several days but he finally glimpses a woman standing in his kitchen, enjoying the sunlight and making herself a cup of tea. He immediately calls the police who go over to his apartment to catch the suspected intruder. But when the police arrive, there are no signs of a break in. The doors and windows are locked and the police are about to give up their search when they discover a woman hiding in the closet in Shimura’s spare bedroom. The woman, as it turns out, had lost her job in the economic recession and had to give up her apartment. 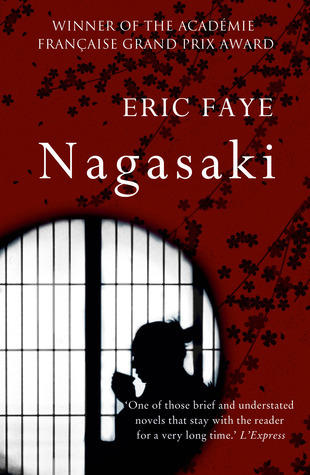 She was living on the streets of Nagasaki until one day she noticed Shimura leave for work. She also noticed that he left the door to his house unlocked and so she let herself in, just intending to have a warm and dry place to stay for a few hours. But when she discovers Shimura’s extra bedroom which is rarely used, she basically lives with him unnoticed for the better part of a year. The most fascinating part of the story is the lasting psychological impacts that their inadvertent cohabitation has on both of them. Shimura is forced to contemplate his lonely and solitary existence and he never feels comfortable again living in his apartment. The woman does a short stint in jail and writes Shimura a very detailed letter about why she chose his house to stay in. But she too is changed from her sojourn at Shimura’s home. Their individual isolation and loneliness is cast into sharp relief when they each see how the other one lives. This is a quick yet powerful read that I highly recommend. My only complaint is that I didn’t want the book to end; I wanted to know more about the fate of Shimura and his secret roommate. This is a fantastic choice to kick off Novella November! Born in Limoges, Éric Faye is a journalist and the prize-winning author of more than twenty books, including novels and travel memoirs. He was awarded the Académie Française Grand Prix du Roman in 2010 for Nagasaki. Wow! Sounds remarkable and really quite clever. Isn’t it amazing how much can be got into such short works?? OMG… can you imagine – it’s bad enough when I’ve been in the car, alone at night and got the feeling someone is on the back seat… aaaahhhh!!! It sounds fascinating. I’m going to share it on Facebook and add it to my TBR list. Thank you. Thanks to YOU for hosting a great event! The book was short but really left an impression. The only way he figured it out is that he was so regimented, or she would have gone on living with him indefinitely! I have this on Kindle and must get round to reading it. I must admit, many of my favourite reads this year have been novellas. You can read it in a few hours. I highly recommend it! I read this and was similarly fascinated by the psychological aspect. And yes indeed it is based on a true story.